The pilot study, which was conducted by cross-channel platform provider, Adconion Media Group, and LG Electronics, found half of smart TV users surveyed have already interacted with an ad, and have a positive attitude towards advertising. In addition, 31 per cent engaged in an action as a result. Fifteen per cent also said they thought about buying the product straightaway, while 24 per cent talked about the ad and 20 per cent searched for more information online on the brand or product advertised. In comparison with traditional TV viewers, smart TV users show a 21 per cent higher brand recall and a 13 per cent higher message recall. Purchase intent was also higher by 60 per cent, and 23 per cent of smart TV users are more likely to recommend the products or services being advertised. The report also showed more than 80 per cent of smart TVs purchased are at least 40-inches wide, and are owned by above average, educated people of 20-49 years of age with high purchasing power - a group difficult to reach via traditional TV, the report claimed. 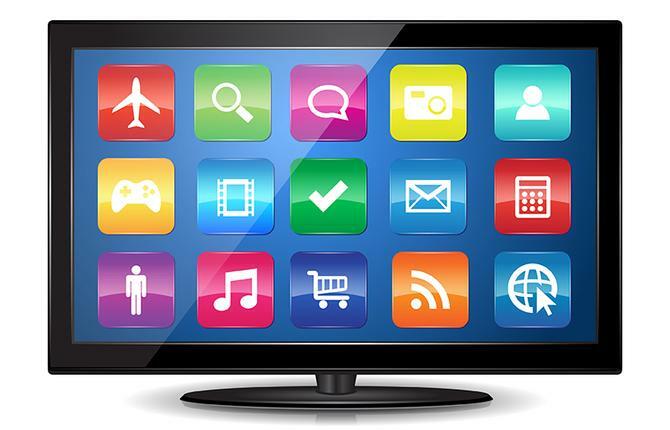 Eighty per cent use their smart TV set for Internet features. Like traditional TV viewers, 62 per cent of smart TV owners on watching between 6-9pm. According to Strategy Analytics’ latest Global Smart TV Vendor Market Share report, 12.7 million smart TV units were shipped in the first quarter of this year globally. Nearly half of survey respondents said ads must be relevant, informative and easy to understand if they’re to be effective. Top reasons why users interacted with a smart TV ad included interesting products and brands, discount offers and appealing or eye-catching content. “This research has revealed that Smart TV has huge potential to engage audiences and we expect to see more and more advertisers capitalising on this platform in more creative ways,” Chandrapal added. The research was conducted across 2000 consumers across both traditional and smart TV platforms in the UK, Germany, Spain, Russia and Australia by Nielsen in June. It involved a usage study where respondents from both groups were exposed to traditional TV programs with ads, followed by smart TV tasks where the same brand ads were displayed in different placements. Users were then asked to fill in a questionnaire. The survey was followed-up with calls and an online survey. Key findings from the Smartclip study can be found here.